The International Olympic Committee (IOC) (French: Comité international olympique, CIO) is a Swiss non-profit, non-governmental organisation based in Lausanne, Switzerland, created by Pierre, Baron de Coubertin, on 23 June 1894 with Demetrios Vikelas as its first president. Today its membership consists of 100 active members, 33 honorary members, and 1 honour member. The IOC is the supreme authority of the modern Olympic movement. The IOC organises the modern Athens, Greece, in 1896; the first Winter Olympics was in Chamonix, France, in 1924. 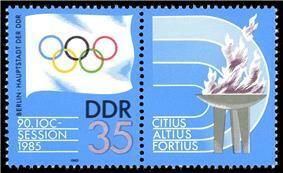 Until 1992, both Summer and Winter Olympics were held in the same year. After that year, however, the IOC shifted the Winter Olympics to the even years between Summer Games, to help space the planning of the two events from one another, and improve the financial balance of the IOC, which receives greater income on Olympic years. The first Summer Youth Olympics were in Singapore in 2010 and the first Winter Youth Olympics were held in Innsbruck in 2012. 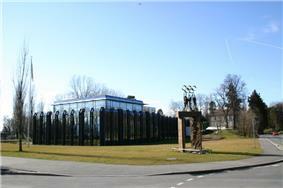 The headquarters of the IOC in Lausanne, Switzerland. 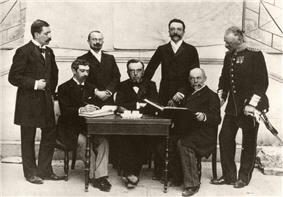 The committee was established by Pierre de Coubertin, on 23 June 1894. The committee was housed at the Mont-Repos villa in Lausanne, Switzerland. The stated mission of the IOC is to promote Olympic throughout the world and to lead the Olympic Movement. To encourage and support the promotion of ethics in sport as well as education of youth through sport and to dedicate its efforts to ensuring that, in sport, the spirit of fair play prevails and violence is banned; To encourage and support the organisation, development and coordination of sport and sports competitions; To ensure the regular celebration of the Olympic Games; To cooperate with the competent public or private organisations and authorities in the endeavour to place sport at the service of humanity and thereby to promote peace; To take action in order to strengthen the unity and to protect the independence of the Olympic Movement; To act against any form of discrimination affecting the Olympic Movement; To encourage and support the promotion of women in sport at all levels and in all structures with a view to implementing the principle of equality of men and women; To lead the fight against doping in sport; To encourage and support measures protecting the health of athletes; To oppose any political or commercial abuse of sport and athletes; To encourage and support the efforts of sports organisations and public authorities in order to provide social and professional future of athletes; To encourage and support the development of sport for all; To encourage and support a responsible concern for environmental issues, to promote sustainable development in sport and to require that the Olympic Games are held accordingly; To promote a positive legacy from the Olympic Games to the host cities and host countries; To encourage and support initiatives blending sport with culture and education; To encourage and support the activities of the International Olympic Academy (IOA) and other institutions which dedicate themselves to Olympic education. The IOC Executive Board consists of the President, four Vice-Presidents, and ten other members. All members of the IOC Executive Board are elected by the Session, in a secret ballot, by a majority of the votes cast. The IOC Executive Board assumes the general overall responsibility for the administration of the IOC and the management of its affairs. The IOC Session elects, by secret ballot, the IOC President from among its members for a term of eight years renewable once for a term of four years. The current IOC President, Thomas Bach, was elected for an eight-year term on 10 September 2013. Bach will be eligible for re-election to one additional four-year term in 2021. For a long time, members of royalty have been members of co-option, such as Prince Albert II of Monaco, as have former athletes. In addition King Willem-Alexander of the Netherlands (then crown prince) has served as a member since 1998. These last 10 years, the composition has evolved, in order to get a better representation of the sports world. Members seats have been allocated specifically to athletes, International Federations leaders, and National Olympic Committees leaders. There are currently 100 members of the IOC, 33 honorary members, and 1 honour member. Presidents or persons holding an executive or senior leadership position within NOCs, or continental associations of NOCs, the total number of whom may not exceed 15; there may be no more than one such member national of any given country within the IOC. Chappelet, Jean-Loup; Brenda Kübler-Mabbott (2008). International Olympic Committee and the Olympic system: the governance of world sport. New York: Routledge. ^ a b "Chapter 2: Mission and Role of the IOC". Olympic Charter. IOC. 8 July 2011. pp. 14–15. Retrieved 29 July 2012. ^ "HSH the Sovereign Prince ALBERT II". Olympic.org. 1958-03-14. Retrieved 2013-12-03. ^ "HM King Willem-Alexander of the NETHERLANDS". Olympic.org. 1967-04-27. Retrieved 2013-12-03. ^ "ASOIF – Members". asoif.com. Retrieved 4 June 2012. ^ "AIOWF -Members". olympic.org. Retrieved 4 June 2012. ^ "ARISF – Members". arisf.org. Retrieved 21 September 2014. ^ "'"London Bid 'Has Improved. ^ "Boost for London's Olympic Bid". ^ "Samaranch reflects on bid scandal with regret". 2002 Winter Olympics coverage. Deseret News Archives. 19 May 2001. ^ "Mainichi Daily News ends its partnership with MSN, takes on new Web address". Mdn.mainichi-msn.co.jp. Retrieved 8 May 2012. ^ Bodeen, Christopher (25 February 2001). "Beijing opens itself up to Olympic inspectors". Chicago Sun-Times. ^ "The Public Eye Awards Nominations 2010". Public Eye. Archived from the original on 8 August 2012. Retrieved 17 February 2010. ^ "Wrestling dropped from 2020 Games". Espn.go.com. 2013-02-14. Retrieved 2013-12-03. ^ "Wrestling reinstated for Tokyo 2020 | Olympics News". ESPN.co.uk. 2013-09-08. Retrieved 2013-12-03. In February 2013, the IOC did not include wrestling as one of its core Olympic sports for the Summer Olympic program for the 2020 Olympics. This decision was poorly received by the sporting and wrestling community. Wrestling will still be part of the program at the 2016 Summer Olympics in Rio de Janeiro. This decision was later overturned, and wrestling will be a part of the 2020 Olympic Games in Tokyo. A scandal broke on 10 December 1998, when United States Department of Justice.